Police are investigating what they are calling an attempted abduction with a ‘possible sexual motive’ on a 15-year-old boy in Sussex. 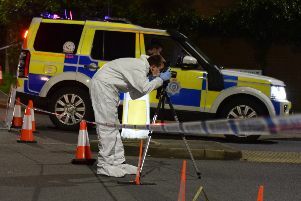 According to police, the incident happened at around 4pm on Thursday, December 15 in Peckhams Copse Lane, North Mundham, near Chichester, in which the teenager walking home from the city was accosted by a man. The boy was able to break free from his attacker and escape, police said. Officers secured the scene and enquiries continue to be made. According to police, a 24-year-old local man has been arrested on suspicion of attempted sexual assault and attempted kidnap. Anyone who saw what happened or noticed a man behaving suspiciously in the area early on Thursday evening is asked to email 101@sussex.pnn.police.ukor phone 101, quoting serial 1108 of 15/12. Alternatively people can contact the independent charity Crimestoppers anonymously on 0800 555 111 (www.crimestoppers-uk.org).